We welcome players in all positions as we have a flexible approach to where people sit. 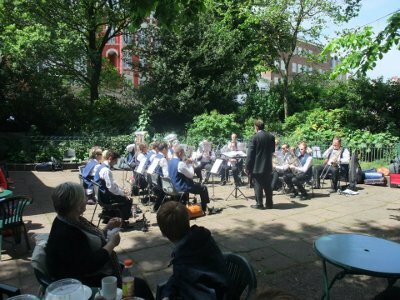 Brighton & Hove City Brass are a brass band from the seaside resort of Brighton & Hove in Sussex, England. 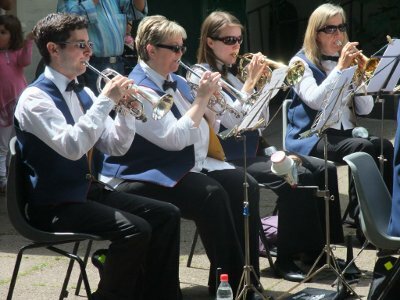 We regularly perform at a wide range of concerts, bandstands, fairs, garden parties and parades in the South East. We can put together a programme of music for a wedding ceremony, a retail shop opening, a corporate day or even entertain your customers in the local pub! 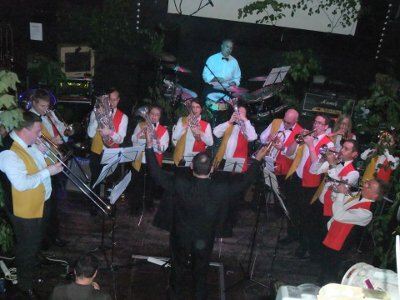 These pages contain information about the band, its members, where to see the band, and who to contact for more information on how to hire the band. 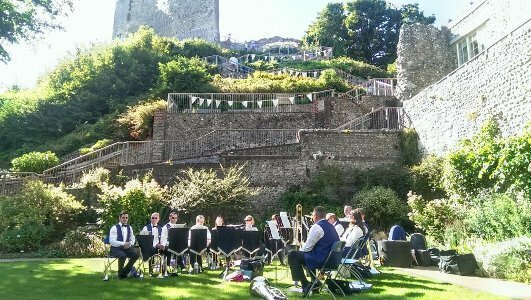 We always welcome new players so if you play a brass instrument, have had a break and want to get back into it or just want to be part of one of the most entertaining bands in the south, please see our Join Us page for further details. Our CD 'Brighton Breezy' is now available to buy from Amazon!